Your iPhone, iPad and iPod touch have been generously updated by Apple with over 200 new features yesterday, and the Cupertino-based company didn’t forget about its “hobby device”. Apple released the Apple TV 4.4 software update, which adds Photo Stream, AirPlay mirroring, NHL live games, Wall Street Journal news, support for subtitles in Netflix, new movie trailers section and some new slideshow themes. 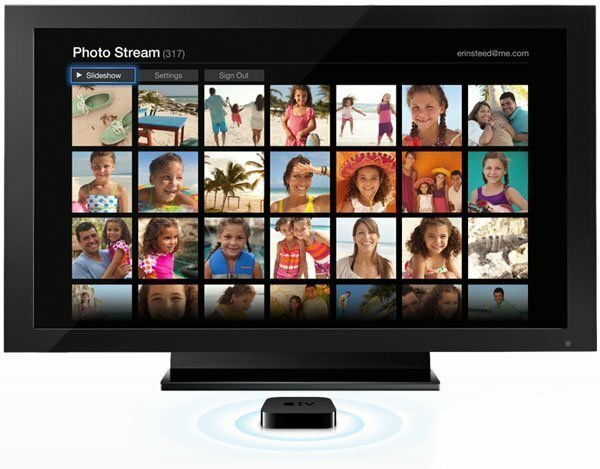 With Photo Stream in iCloud, your last 1000 photos automatically appear in a special Photo Stream album on your Apple TV 2. No matter which device you used to take the picture. No syncing. No sending. iCloud’s Photo Stream service automatically uploads the photos you take or import on any of your devices and wirelessly pushes them to all your devices and computers. AirPlay mirroring lets you wirelessly stream what’s on your iPad 2 or iPhone 4S to your HDTV. It lets you to mirror every app to the big screen, including web browsers and games. New Slideshow themes: enjoy your photos on your HDTV with new slideshow themes: Photo Wall, Flip-up, Shifting Tiles. Netflix: added support for subtitles when available. As always – don’t update to 4.4 if you don’t want to lose your jailbreak. @nitoTV and @firecore are already working hard on the new jailbreak. We’ll have a tutorial on how to jailbreak your Apple TV on firmware 4.4 as soon as the new jailbreak is out. Our readers report that Apple is still signing the 4.3 software, which means that if you didn’t update and your atv is still running 4.3, you can jailbreak it using SeasOnPass 0.7.7 or sn0wbreeze. 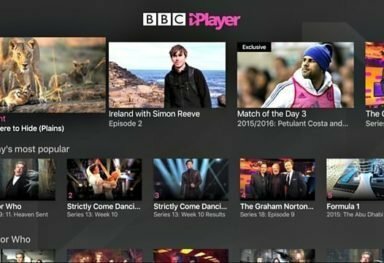 What’s your favourite boxee app?